Abstracts for presentations from knowledgeable professionals in industry, government, military, public education and academia are solicited to provide presentations which would be part of a comprehensive conference program on the latest interactive technologies as they are being applied to training, education and job performance improvement, including ways to implement technology, descriptions of education and technical skills applications, e-Learning, enterprise management, and instructional systems design, together with Knowledge Management systems. Please submit abstract(s) of your proposed presentation(s) (up to 100 words per topic suggested). Abstracts will be considered for an individual presentation, or as a participant in a panel discussion. A proceedings will be prepared and you should indicate whether you will provide a paper prior to the conference for inclusion in the proceedings. Abstract submissions should be received by March 23, 2011. If your abstract is accepted, papers should be submitted by July 18, 2011 in order to be included in the Conference Proceedings. Authors of accepted papers are expected to attend the conference, present their work to their peers, and transfer copyright. Primary speakers receive a complimentary registration to the conference. All other speakers will be required to pay a discounted conference registration fee. Be sure to include the author’s name, title, organization, address, phone number, and email address. Accepted speakers will have their biographies included on the SALT� conference web site as well as a photo if this material is provided to SALT�. Submit on-line at www.salt.org or send to SALT, 50 Culpeper Street, Warrenton, VA 20186. Phone: 540-347-0055 / Fax: 540-349-3169 / email: DCprogram11@salt.org. The program schedule will consist the main conference presentation sessions on Wednesday, Thursday, and Friday, August 17-19. Be sure to include the author’s name, title, organization, address, phone number, and email address. In addition, relevant biographical information about the author(s) should be included with the abstract submission so it can be posted on the SALT� web site. For a PDF version of the Call for Papers, click here. The submissions should be in the form of individual presentations or panel discussions. ideas we need to excel. interstate highways. Clarksville is served by the Nashville Metropolitan Airport. � Potential engagement of the audience. April 4, 2011. You will be notified of the status of your submission by Friday, April 15, 2011.
this description will be used in the conference program to promote the session. Please note if and when you have given this proposal before. including primary topics introduced and planned participation of presenter and audience. both hardware and software needs. specify needed accommodations in your proposal submission. date and venue for each. addressed to Mary Alice Burkhart at burkhartm@apsu.edu. Submissions are welcome from academics, administrators, designers, vendors and exhibitors. not to promote a particular product or commercial activity. The Academic; Education; Museums, Arts, & Humanities; and Social Science Divisions of SLA invite proposals for a poster session to be held during the divisions’ Poster Session and Open House at SLA 2011 in Philadelphia, PA.
Proposals should focus on innovative services and products which look at the future of libraries, museums and information work. Possible topics could include, but are not limited to, case studies of a new service to concepts of the user of the future. The poster session will be a relaxed and informal time to share ideas with your colleagues. We welcome proposals from any SLA member, new or experienced, and especially from students. In the event we receive more qualified submissions than we can accommodate, members of the four sponsoring divisions and student members will be given priority. Proposals should be submitted by April 15, 2011 via e-mail to april.colosimo@mcgill.ca. Please include a title and description of no more than 250 words, and your name, institution, e-mail address, and address. Proposals will be reviewed by a committee for relevance to the theme and quality. We will notify applicants of our decision by May 1, 2011. The organizers of the 2nd biennial Kathleen A. Zar Symposium to be held Friday, June 3, 2011 invite proposals for presentations in the area of assessment of library instruction activities. Proposals should be submitted using the form found at https://www.surveymonkey.com/s/kaz2011 . Invited and contributed presentations will provide a framework for thinking about library assessment, as well as describing practical approaches for measuring learning outcomes. Proposals selected for full oral presentation will be eligible for a travel stipend. • How do we evaluate the effectiveness of our library’s instruction programs? • What kinds of tools and techniques may be used to provide evidence that library instruction contributes to positive learning outcomes? • Should I partner with faculty or other groups on campus in doing this kind of assessment? • How can the assessment of instruction programs be helpful in demonstrating the library’s value to your community? The symposium organizers will also consider interactive alternatives to a traditional oral presentation. Proposals for small group exercises, demonstration of specific assessment techniques or other interactive activities will be given consideration. We will be offering presenters who do not wish to, or are not selected to make a full oral presentation the option of participating in a round of “lightning talks.” These ultra-short format talks will offer a forum for sharing additional techniques, research findings or other focused information. The Kathleen A. Zar Symposium is a biennial event held at the John Crerar Library of the University of Chicago. The symposium series is made possible through the generous support of Howard Zar. Share information with colleagues, or recommend speakers who will be of interest to colleagues who are interested in new building projects, building design, management or building maintenance issues. The Buildings, Equipment and Furnishings Roundtable of the Pennsylvania Library Association invites proposals for presentations or panel sessions for the 2011 PaLA Conference to be held from October 2-5, 2011, in State College, PA.
Proposals can be submitted online at program proposal link. Proposals must be submitted by Sunday, April 3rd. For a working copy of the form, and to view the questions in advance of submission, a PDF is available for download. The link to the form will also be available on the PaLA web site. To recommend speakers or for more information, please contact Karen Gartner at karengartner@verizon.net. 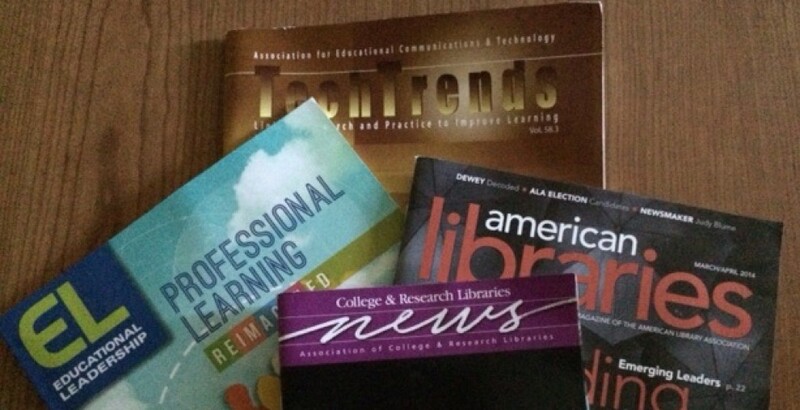 What is the “6th Annual Information Literacy Conference”? It is a one-day conference covering the various aspects of Information Literacy in academic institutions, public libraries and K – 12 education. What presentation/poster topics are you looking for? Throughout the day the presentations can cover anything from the basics of information literacy, how to write your information literacy program, success stories, tools to assist in the implementation and more! Click here to see what sessions and posters were offered last year. Here are the Association of College and Research Libraries’ Information Literacy Competency Standards for Higher Education. Note that these standards do not need to be a part of your presentation or poster but help to give guidance for session topics. All topics relating to Information Literacy will be considered. Is there a registration fee reduction for presenters? Presenters will receive half-price registration. How do I submit a presentation/poster proposal? Complete the Session Proposal Form and submit it by Friday, March 25, 2011. See you at the Information Literacy Conference! Despite the fact that immigration stories are increasingly featured in U.S. popular media discourse and an immigrant justice movement continues to strengthen, little scholarship has focused on the experiences of immigrants and their families, and especially, families who are mixed status in that they are comprised of both citizens and noncitizens. This edited volume aims to examine the experiences of immigrants and mixed status families in terms of work and education, raids, deportations, and detention, and resistance toward anti-immigrant sentiment. We welcome and encourage work that examines not just the experiences of immigrants in the U.S., but the experiences of immigrants around the globe. The questions we are interested in exploring include but are not restricted to the following: What forms of work do immigrant women engage in to support their families? What are the struggles of undocumented students? How do raids, deportations, and detention affect families? How do such phenomena affect mixed status families? What are the experiences of immigrants, particularly women and children, in detention? How have changes in laws affected undocumented immigrants and their children? What strategies have justice movements used to protect undocumented men, women, and children? How are countries around the world approaching immigration and undocumented immigration, and how does that compare to U.S. policies? We seek explorations and answers to these questions that engage notions of gender, race and ethnicity, place, and culture as well as documentation and analysis of leadership and activism. We are interested in both academic papers and testimonies from immigrant women on the above topics. Submission Process: Proposals for academic papers or testimonies, no longer than three pages, should be emailed to Jodie Lawston at jlawston@csusm.edu by Wednesday June 15, 2011. Author(s) must include all identifying information on the proposal, including name, title, institutional affiliation, address, phone numbers, and email. After the deadline, we will review proposals and contact authors as to which manuscripts we are interested in reviewing for the book. Proposals must include the subject matter of the paper, methods used for your analysis, and the argument you plan to make based on your data. Feel free to contact Jodie Lawston (jlawston@csusm.edu) with any questions or concerns about the submission process. Mobile services are mobility-enhancing computing services that can be delivered to a user’s mobile device over a wireless network. Mobile services play a very important role in the world economy. As business paradigm shifts from a desktop-centric environment to a data-centric mobile environment, mobile services provide numerous new business opportunities, and at the same time, challenge many of the basic premises of existing business models. Mobile technologies have advanced at an unprecedented speed due to consumers’ increasing demand for new devices/services and corresponding corporate R&D efforts. These rapid technological developments have contributed to the impressive growth of mobile subscribers. Mobile services such as mobile messaging, mobile banking, mobile Web browsing, e-mails, mobile entertainment, information retrieval, maps, location-based advertising, and so forth, hold great potential for new business models and applications in mobile commerce. The convergence of the Internet and wireless technology in the late 1990s has produced a revolutionary telecommunication phenomenon called mobile services. Due to the extraordinary speed of technological advances, factors and issues influencing mobile services are not well understood, and empirical and theoretical studies are lacking. Enabling and disabling factors affect subscribers’ adoption and interaction with mobile services, which may be different from a desktop-centric environment. Given the current technological transition from 3G to 4G and the demand for further research, this book seeks to foster a scientific understanding of mobile services, provide a timely publication of current research efforts, and forecast future trends in the mobile services industry. 1. Academics/Researchers: This book will be of interest to academics and researchers working in several different research fields. 2. Government Policymakers: The book will be of interest to the policymakers internationally because of the field studies from different parts of the world. 3. Corporate Managers: The book will be of interest to the managers of firms who might gain from studies of mobile services from around the world. 4. Instructors: It can also be employed as a supplemental text for a graduate course on mobile services. Researchers and practitioners are invited to submit on or before May16, 2011, a 2-3 page chapter proposal clearly explaining the mission and concerns of his or her proposed chapter. Authors of accepted proposals will be notified by June 16, 2011 about the status of their proposals and sent chapter guidelines. Full chapters are expected to be submitted by August 16, 2011. All submitted chapters will be reviewed on a double-blind review basis. Contributors may also be requested to serve as reviewers for this project. This book is scheduled to be published by IGI Global (formerly Idea Group Inc.), publisher of the “Information Science Reference” (formerly Idea Group Reference), “Medical Information Science Reference,” “Business Science Reference,” and “Engineering Science Reference” imprints. For additional information regarding the publisher, please visit www.igi-global.com. This publication is anticipated to be released in 2012. The 21st annual Association for Computing Machinery’s “Computers, Freedom, and Privacy” conference invites proposals for this year’s conference. This year’s conference theme is Computers, Freedom, and Privacy: The Future is Now. We encourage multi-stakeholder participation in the conference as speakers, proposal submitters, and attendees that represent the diverse global community of organizations and professionals who work on policy, technology and law. Proposals that focus on the information society and the future of technology, privacy, innovation and law should be submitted following the guidelines outlined below. We seek panel proposals that take advantage of this year’s location in Washington DC. Experts, the public and policy makers each have a part to play in innovation and in moving policy and technology forward, while preserving basic rights and freedoms.